Thank you for your interest in booking an event at Dallas Glass Art. Please fill out the following information about your event with us and we will contact you back in 1-3 business days. 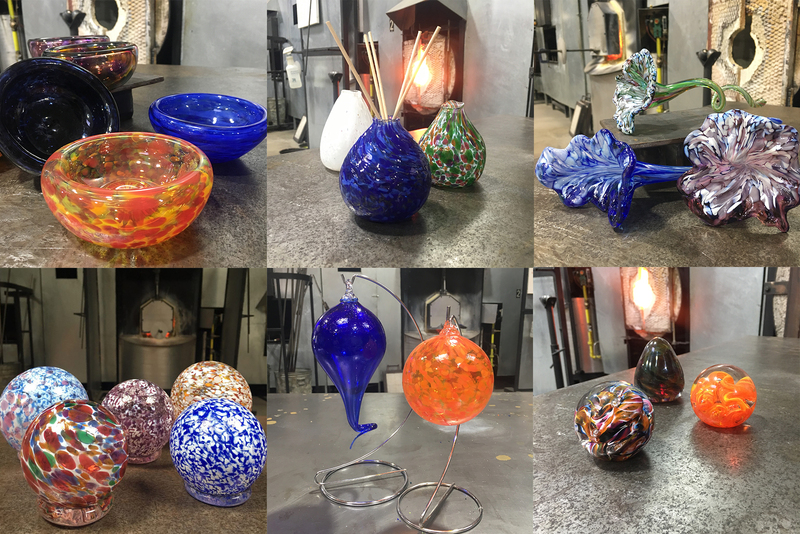 Our Glassblowing Events are open to groups of at least 6 people. Corporate Events, Team-Building Events, Birthday Parties and everything in between! Add an artist demonstration for even more glassblowing fun. Cater your event or bring your own food and/or beverages. When was your last event with us? All Glassblowing Events are 2 hours long. Please factor in guest arrival time when requesting Event Start Times. Bubble Bowls 6-14 Mini Vases 6-25 Flowers 6-25 Globes 6-25 Ornaments 6-25 Paperweights 6-14 Choose two items to offer during their event. **Groups of 15+ may not choose Paperweights or Bubble Bowls as event items. These items take more time to create and will not allow all guests to participate. Cater your event or bring your own food and beverages. *See the bottom of this form for more catering and event prep information before submitting. Carlyn Ray and her team create a larger piece from her signature collection. Choose to keep the demonstration piece for your office or a fundraiser for an additional $250. -Select the colors Carlyn will use to create your piece. Are you interested in an Add-On Artist Demonstration by Carlyn Ray? Please include any details, questions, or other information you would like us to address. Please see below the "Submit" button for more information on our events, pictures from past events, and other details. For you and your guest's convenience, Dallas Glass Art offers optional shipping for your out of town guests. This shipping will be separately charged from the event cost and will be through UPS. The average cost for UPS shipments are $11-15 per piece. Some local pieces are $8 while others are $10. This average price includes both packaging glass items and shipping costs. If your guests will be shipping their items, they can fill out their shipping information in their online sign in forms: Sign In Online or a separate Shipping Form: Shipping Information Form. If your guests do not have the time or means of filling these forms out online, they will have the opportunity to fill out a paper copy on the day of.